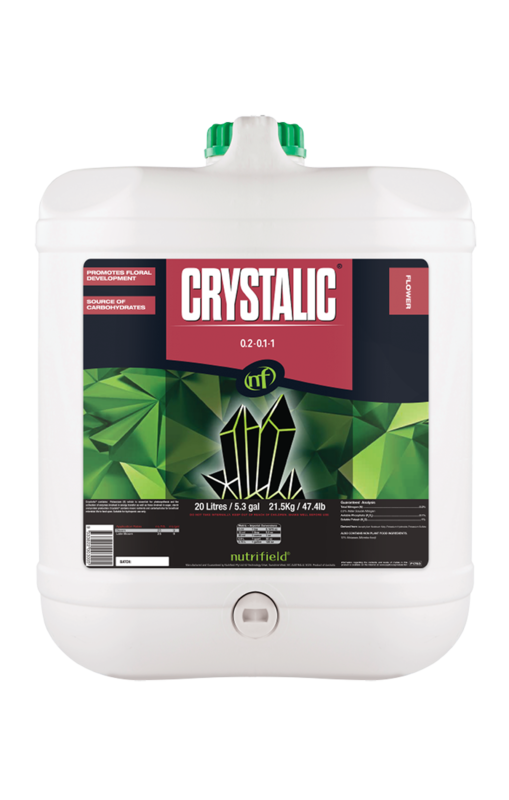 Crystalic is a potent blend of biostimulants including molasses, aloe vera, and amino acids to support the development of high-quality yields with intense aromas during flowering. Molasses and aloe vera provide a range of natural polysaccharides and phytochemicals to support beneficial microbes, which improve nutrient bioavailability and stimulate the production of oils and secondary metabolites. Application of Crystalic helps maintain a healthy rhizosphere while inducing essential oil production to maximise flower oil yield and aroma. Nutrifield Crystalic stimulates the production of essential oils, which impart distinct flavours and fragrant aromas. Many plants, such as mint and lavender, store their essential oils, including terpenes, in their trichomes (tiny hair-like structures on the surface of the plant). 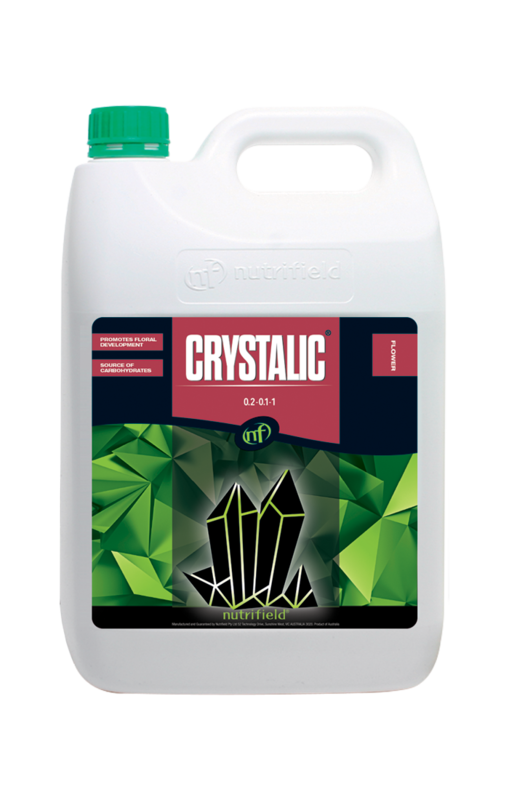 Nutrifield Crystalic increases trichome abundance and oil content, which results in the densely packed, oil-filled trichomes reflecting light and appearing crystalline. Nutrifield Crystalic is high in molasses and complex polysaccharides (sugars), which support beneficial microbes and a healthy plant immune system. The microbial presence elicits a change in the plant’s metabolism causing it to alter its production of proteins, sugars, and secondary metabolites. The result is a robust plant with high brix levels, particular within the fruit.